Q&A with Mark Deno, Cider Maker & Founder of Atlanta Hard Cider Co.
Q&A with Mark Deno, Cider Maker & Cofounder of Atlanta Hard Cider Co. 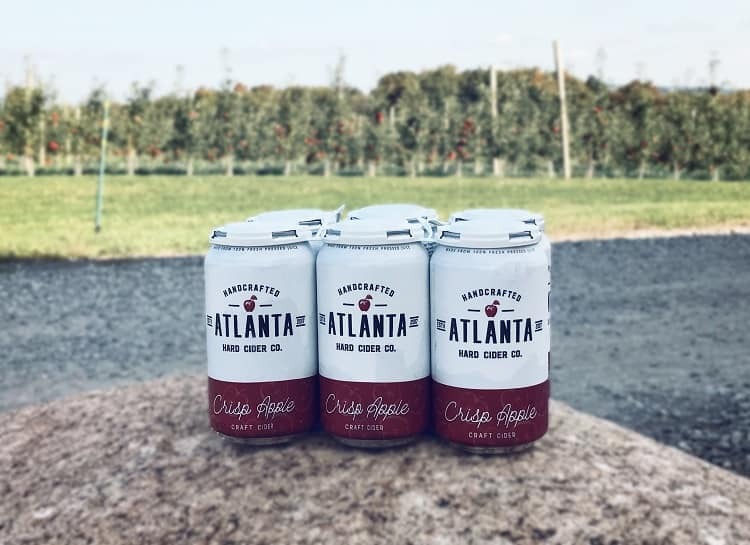 The growing cider scene in Georgia recently welcomed a new cider maker to the community: Atlanta Hard Cider Co. This husband-and-wife-run operation started with DIY at-home cider making, and has spent the last year busily growing and expanding. In addition to making appearances at local craft beer and cider fests, you can find cans of its Crisp Apple cider in hundreds of bottle shops, bars and markets (including some seriously big accounts, like Target and Whole Foods Market) across Georgia and other states along the East Coast. 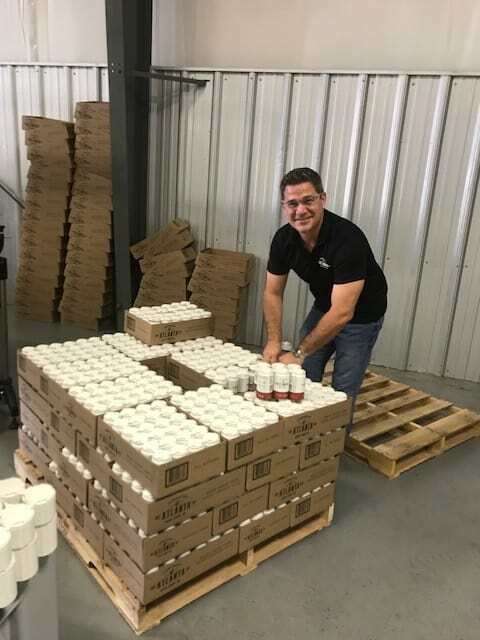 We enjoyed a chat with Atlanta Hard Cider’s cofounder and cider maker, Mark Deno, to learn more about this up-and-coming company. Cider Culture: Hey, Mark! Can you tell us a bit about why you got into cider making? Mark Deno: Due to my gluten intolerance, I was looking for an alternative drink besides beer, and a bartender introduced me to commercially produced cider. I started searching for all-natural versions and discovered craft cider. The light bulb went off, and I started researching how to make cider at home. I think craft cider is where craft beer was 20 years ago. The market is untapped, and there is so much room to grow and educate consumers. We read that you took Oregon State’s Cider Making Best Practices course. Can you tell us a bit about that experience? I felt the class was a great experience … we got to learn the dos and don’ts from real cider makers such as Nat West from Reverend Nat’s Hard Cider, James Kohn from Wandering Aengus and Joel VandenBrink from Seattle Cider. When you were first learning, what style or brands of craft cider inspired you? New World ciders such as Anthem Cider, Seattle Cider and Portland Cider Company … their style of cider making really got us excited about craft cider. They are very easy to drink and refreshing. What was a memorable mistake made along the way? A memorable victory? A memorable victory? I think one of our smartest moves was to take our time and purchase land to build our cidery from the ground up; this way, we have instant equity in our cidery. I don’t believe in renting or leasing and making your landlord rich. Can you tell us a bit about your work at Atlanta Hard Cider Co.? What does a typical day look like for you? We have a one-barrel commercial system in our garage where we come up with all of our recipes. My wife and I collaborate on logo design, label design, promo items, scheduling and making sales calls, etc. I’ve been a real estate developer for the past 20 years, so I’m putting a lot of time into developing our new cidery from the ground up. I’m working with architects, surveyors, engineers and designers. While working on this, I’m overseeing our operations and cider making and packaging with our contract cidery, which is 1,000 miles away, until we have our cidery built here in Atlanta. Speaking of the cidery, can you share anything about your forthcoming tasting room in Atlanta? We’re looking to build a 12,000-square-foot facility that will include 4,000 square feet for the tasting room and 1,500 for an outside deck. We will have roll-up garage doors leading to and from the interior to the exterior and a small stage for live music on the weekends. We plan on having a daily rotation of food trucks also. The architecture of the building design will be a mix of modern and industrial exterior with a rustic interior finish. How did you choose your aesthetic for your packaging and can design? I owe that entirely to my wife, Liz, whose background is in marketing. I tried to come up with designs for over two years, and everything looked terrible! Once she took over the design, everything came together seamlessly. Currently, you’ve got one flagship cider with ginger and pomegranate flavors on the way. Any other types of cider you’d like to pursue? We’re looking at a Georgia Honey, which I think will go over well in the South—we like things pretty sweet down here. I think we’ll stick to 3 or 4 flavors for the first year or so, and then we’ll eventually have 10–12 flavors on tap once we open our cidery and tasting room. 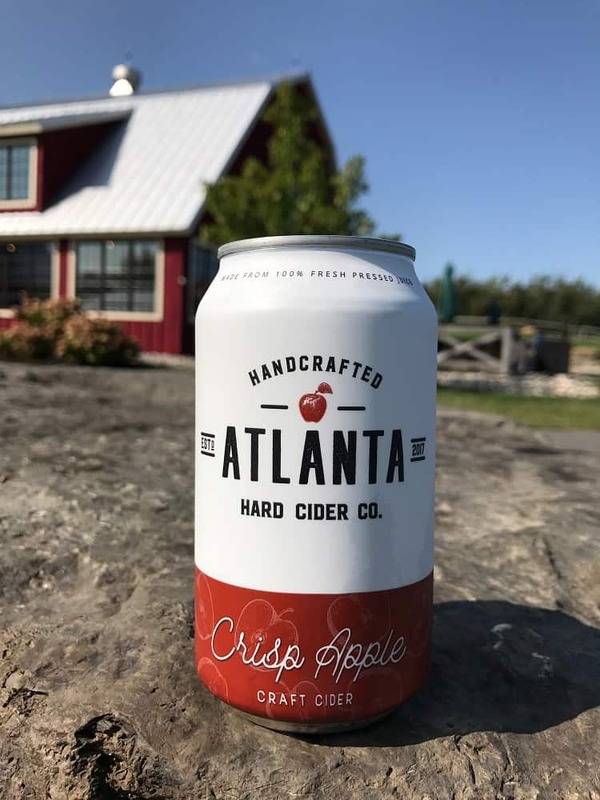 Keep an eye on Atlanta Hard Cider Co.’s Instagram and Facebook pages for info on where to find its cider and updates on its production facility and tasting room! 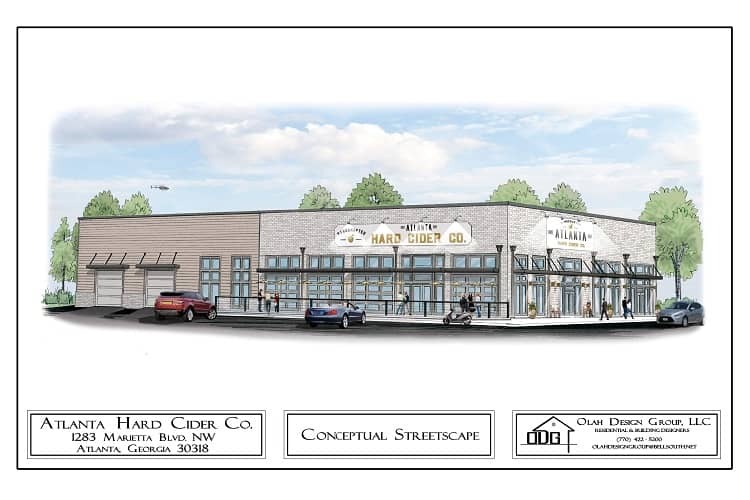 Atlanta Hard Cider Co. will be located at 1283 Marietta Blvd. NW in Atlanta, Georgia. Photos: courtesy of Atlanta Hard Cider Co.